* Huge thanks to our contributors: dianaers & Lynn Turner, and Lili! 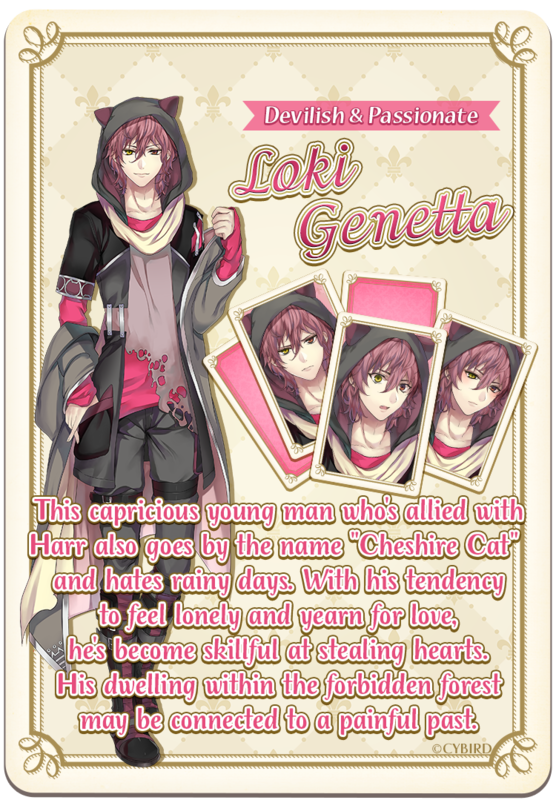 Do NOT upload ANY of the CGs for Loki's route in the comments. Requires 3 Keys to His Heart - "The Cheshire Cat's Scheme"
 "I'm not used to this/"
 "Doing it by hand is fun!" Requires 300 Magic Stones - "Those 'I Love You' Eyes"
 "Am I so like a cat?" "I can't just do nothing." "They took care of you." Requires 300 Magic Stones - "A Coward's Confession"
 "You have all of us." Requires 600 Magic Stones - "title"